M. Prem Kumar, aged 50, the Founder Chairman, is an Honours Graduate in Mechanical Engineering, specialized in Aero Dynamics and Jet Propulsion. He started his career as a Failure Analysis Engineer with Indian Space Research Organization (ISRO). Since 1990, he has been associated with Customs Brokerage, Shipping Agency Handling, Freight Forwarding and Supply Chain Solutions. A technocrat-turned businessman, he founded Uniworld Logistics in 2002 with offices in the 5 major metros in India. A focused leader by nature who believes in making things happen with passion and aggression, highly skilled in motivating the team to achieve results with determination and perseverance. Today, due to his innovative ideas, visionary zeal and disciplined execution of plans, Uniworld Logistics has over 30 offices in 7 countries, handles 40,000 TEUs of ocean freight and 20 million kg of air freight per annum, and operates warehouse in 5 locations with over 1 million square feet of warehousing space covering general warehousing, temperature controlled warehousing and bonded warehousing. A.K Velu (Chief Financial Officer) a ACA and Grad CWA with 18 years of rich experience in managing the finance, accounts and treasury functions across various industries. Have hands on experience in handling IPO's and fund raising projects. 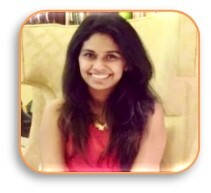 Prior to this Velu has worked with People Interactive (Shaadi.com), Patni Computer Systems, Carraro India and Zuari Industries. He loves to travel and explore new and interesting destinations. Music and dance are his other hobbies. Muthuvellayappan has over 26 years of experience in Industrial Engineering, Quality Management, Supply Chain Management, and Implementation of 3PL Projects, Planning & Engineering, Project Materials Sourcing and Distribution Management in various industries like Manufacturing / Auto / Express / Freight and Logistics. Muthuvellayappan is a Graduate in Mechanical Engineering from Thiagarajar College of Engineering, Madurai (1988), and also holds a Masters in Industrial Engineering from the same institute (1992). Further he strengthened his educational background with a Doctorate in Philosophy in the field of International Human Resources in June 2011, from NITTTIR, Chennai. Nilesh Thadani has a rich experience of close to three decades in the field of Shipping and Logistics. He has had the privelage of working with most of the leading shipping companies in various departments and at various locations accross India. He also has experience of setting up offices/locations, departments and allied logistics activities. He has had the fortune to work under some of the leading stalwarts in the shipping industry in India and has been able to garner rich experience in not only steering companies but also setting up departments and processes which have resulted in increasing progress of these companies. With a humble beginning and working at grass root levels Mr. Nilesh Thadani has worked his way up the corporate ladder rather successfully. Felicia has a rich experience on overall logistic solutions, specially in Supply Chain Management (SCM), with a firm focus on end-to-end solutions on warehousing and transportation of the goods to the end consumer. With a firm belief and due adherence to a lean management model in SCM, she manages company’s sales order cycle, so as to enhance business development and its sustainability, and customer satisfaction via innovative business approaches and means. She has a Bachelors in Commerce, an MBA from Paris School of Business and an Executive Education Certification on Warehouse Design and Management, IIM - Ahmedabad. Currently, at Uniworld, she heads the Division for SCM, Freight Online Market Place, E-Commerce and Branding. Her motto is to implement different sales strategies that mutually benefit, while at the same time, build trustful relationship with customers.